This is the first Porsche I have ever owned. I bought the car July 9, 2004 from a person right here in Peoria. It only had 70k original miles. I had looked at others in Chicago but none were in as good of condition as this car. I really like the color too. 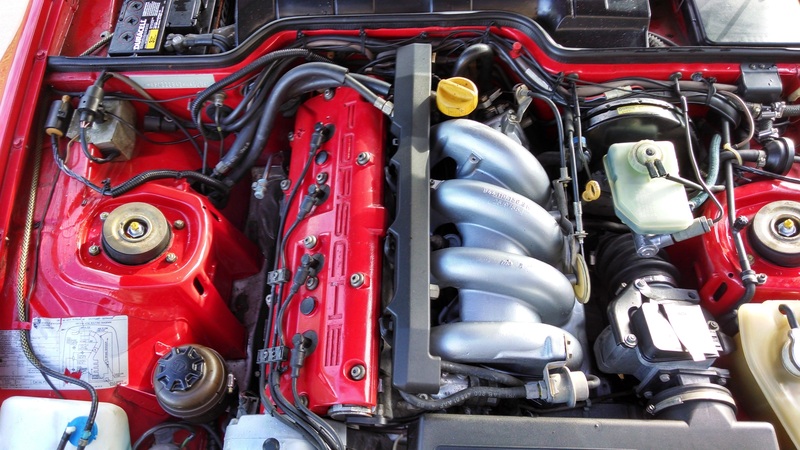 This is the 944S with a 2.5L 16V 4 cylinder engine that makes 188HP stock. The 944S is fairly rare although there are at least 3 others right here in Peoria. It has a forged steel crank with 5 mains and 2 balance shafts. This photo shows the car in bone stock form the day I bought it. Powder coated valve cover was installed when head work was done. I am thinking about forced induction. Either an Eaton Roots blower or a turbo with about 6psi boost for about 265HP. That should get the car deep into the 13's in the quarter since it weighs less than 3000lbs (I believe it weighs about 2800lbs). 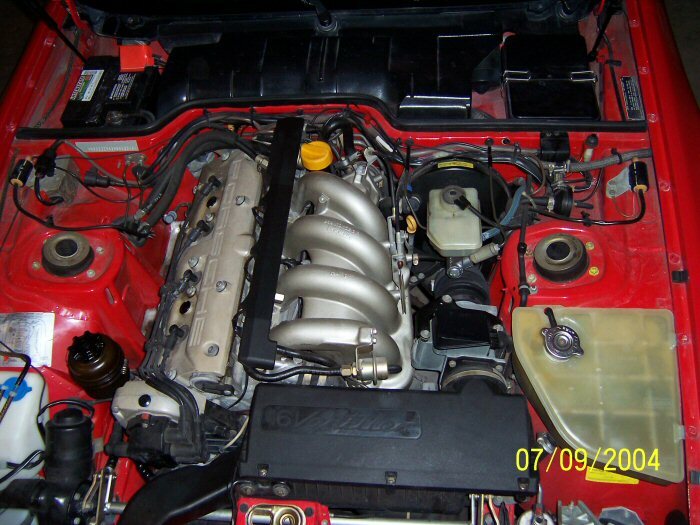 This engine has 10.9:1 compression though so it will not tolerate much boost at all. However, with the good flowing head and the power this makes already, it won't take much to make it a really fun car. Then again, I would probably be better off trading up to a 911 turbo or a Cayman S and that may just be what I will do. I sold this car June 7th, 2014.
http://www.powerhaus.com/ Powerhaus - look at their 968 turbo conversion!